I don’t know what’s going on but I just woke up to let the dog out and it’s ripping snow. I’m at mom and dads up in Ulster county. It’s oouring snow. 1/2” on the ground. Syo, there's an upper level disturbance passing through the area. I'm having a few snow flurries and snow showers in my area also. SNOW MAN wrote: Syo, there's an upper level disturbance passing through the area. I'm having a few snow flurries and snow showers in my area also. Good Morning SNOWMAN and Jimmy! Yes, NWS mentioned snow showers possible to 1 PM today.LOL, the March that keeps producing snow, amazing!!! 34* and Cloudy here. Radar shows snow showers just to my west. Maybe I’ll see a flurry or two this morning which is always nice. I drove from my home on Long Island upstate and back yesterday to today. Along the route I noticed three distinct areas of snow cover. The first was here on Long Island. There’s less today than yesterday but it’s still here. Upstate was fascinating. There’s no snow starting in the Bronx all the way until you reach the palisades Thruwsy merge. Then the most snow is up by exit 16 near Doc and CP. as you head north it thins out and once north of Newberg there’s none. Jman and Soul and Al. I stopped in Yonkers at Frank Pepes to bring home a chicken and bacon pie. Way overrated and expensive. Jman and Soul and Al. I stopped in Yonkers at Sal Pepes to bring home a chicken and bacon pie. Way overrated and expensive. Jimmy, great snowpack report! Enjoyed it very much. A little chilly. 24* this morning. Still running Below Normal for this time of March, but should be getting back to normal or AN temps by mid-week - before another possible BN dip next week. Cold, clear morning.Still have 6 inches on the level of snowpack with some shady spots 1 1/2 foot from the drifts.A few bare spots appearing where the March sun torches. Great read...I used google maps to better orient myself. This link of the MT Holly snow map shows a similar picture of who were the haves and have-nots in NJ. GREAT news Jimmy! Always better than a dry early season.I'll head up to the Beaverkill late April. 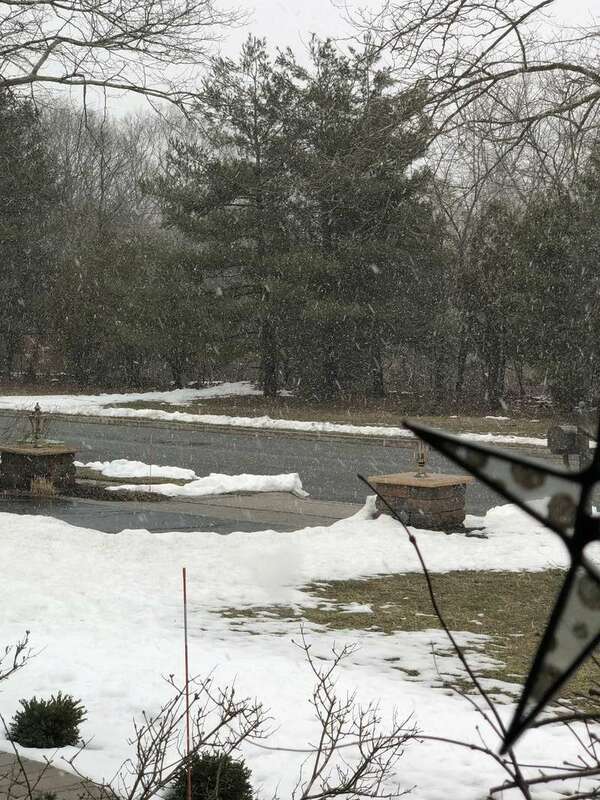 Had flurries in the early afternoon yesterday and a moderate snow shower last night around 8:00PM. If the 12Z NAM verifies for Thursday, a lot of people at Citi Field for the Mets Opening Day will be caught off guard. A lot of weather forecasts (and apps) have been saying 60 degrees that afternoon. But in the setup like the one this week, one which there is a battle between the chilly northeast wind and the warm/humid southwest winds. In NYC, especially Queens, the chilly air almost always wins out. So it may end up being low 40s with the northeast wind Thursday afternoon. In addition, it looks like showers would come in midday. Now, I think the game would be delayed by about an hour or so but they should still get it in. Now, fans will probably bring the spring jackets, not anticipating this setup. As a result, people will probably overpay for sweaters and coats at the shops in the park. Now, if Janet is going, she probably will not be one of those since she has a more reliable weather source which is the NJ Strong Weather Forum. Math23x7 wrote: If the 12Z NAM verifies for Thursday, a lot of people at Citi Field for the Mets Opening Day will be caught off guard. A lot of weather forecasts (and apps) have been saying 60 degrees that afternoon. But in the setup like the one this week, one which there is a battle between the chilly northeast wind and the warm/humid southwest winds. In NYC, especially Queens, the chilly air almost always wins out. So it may end up being low 40s with the northeast wind Thursday afternoon. In addition, it looks like showers would come in midday. Now, I think the game would be delayed by about an hour or so but they should still get it in. Detroit 50* with rain showers. Baltimore 66* with rain showers. The only place there were the temperature is in my opinion marginally baseball-optimal is Baltimore and they'll have rain. 49 degrees, calm, 30.19 F.Yard still covered with 2 to 3 inches of snowpack 90% and still large snowpiles from plowing.Mist rising from the snow at times,LOL. docstox12 wrote: 49 degrees, calm, 30.19 F.Yard still covered with 2 to 3 inches of snowpack 90% and still large snowpiles from plowing.Mist rising from the snow at times,LOL. We may do the whole month of March other than the first day with snow cover and a solid one most of the time at that. May not make it to the first but it will be close. Flying back now from Florida now it is just a different world down here. Every morning I was checking temps seeing 22, 25, 23 every morning there. It seems like some kind of polar world (The Hoth system?) your viewing when your away from it. Somewhat of an exaggeration as our March temps will end up 2-3 degrees below normal, nice but nothing earth shattering. What is impressive is the streak of days in March, 21 at last count in a row, that were below normal, most between 3-7 degrees below so no real out of the ordinary cold but a couple to several degrees bellow each day which has been nice. It has also allowed those of us with a snow pack to keep it almost the entire month. Yeah, I think that’s the point they’re trying to make. 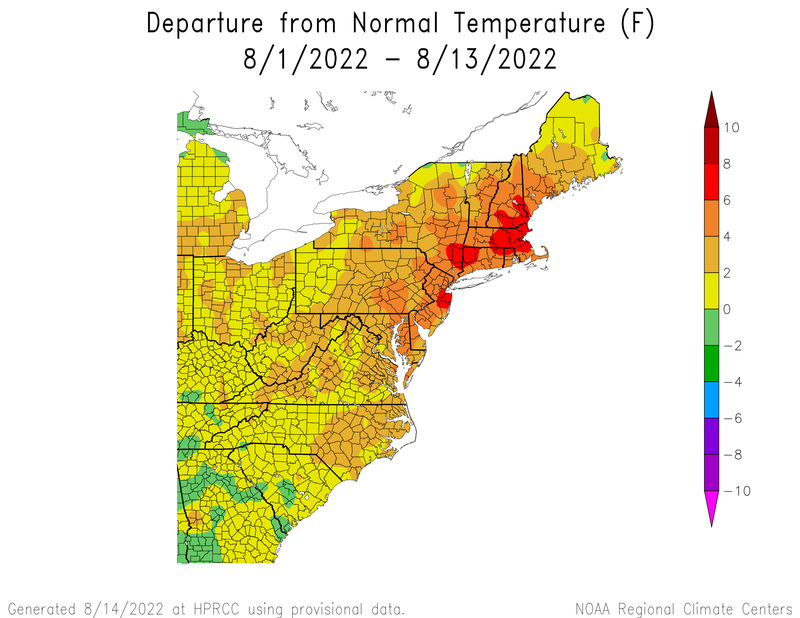 The temperature departure itself isn’t that drastic, but the fact that we had that many days in a row below normal was out of the ordinary - longest streak in 58 years. Be kind of like a hitter alternating between going 1-4 and 1-3 every night for six weeks. The .285 batting average wouldn’t wow anyone but the 40-game hitting streak would be notable. CP, it's the March that pretended to be January! Constant snow cover, cold temperatures.It was a blast to live through and observe! Won't soon forget those 'death bands" over us in that 26 inche snowstorm we had.Aside from February, an epic winter with cold and snow.I would trade a February we had to get a March we have had anytime! Glad you made it back safely! Yeah this March consistency is the most unsual part. A month known for wild variations was very stable. Stable on the cool side. Despite that my car is covered in pollen today. Cherry blossoms etc are opening up.